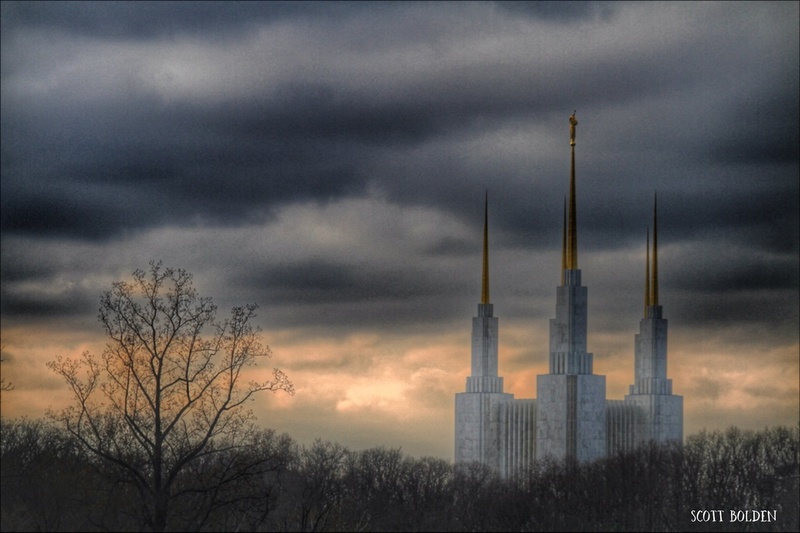 The Mormon Temple stands out against an incoming storm near sunset. I need to thank each of you for your ongoing support here as I am barely able to get a photo each day and haven't viewed or commented in a while. Wonderful lighting - great shot. Beautiful capture. Love all the layers and the composition. Is this off the Capitol Beltway outside DC? We're neighbors! (Though I'm more toward Annapolis.) Beautiful shot of the Temple! wow what an amazing sight it must be in person. Wow indeed! very nice shot!